We want to improve safety on bikes, by building the next generation of bike lights. It’s not about making them more powerful, but about adding extra safety functionalities like turning indicators, a brake light and a laser projection. Blinkers is the one thing that was missing for cyclists to be safer and to be a natural part of the road. It packs everything you need to be seen, understood and respected by everyone else in the road. The front and rear turn signals allow cars to always know when and where you are turning, and can be triggered by the remote control on the handlebar of the bike. The rear red light has 30 lumens power and also includes an accelerometer that measures the motion of the cyclist and triggers the brake light when the cyclist is slowing down. In that way, you let vehicles behind you know when you are braking. Front white light with 100 lumens power and 3 different light modes: to see, to be seen, and a hybrid between those two. Blinkers are very easy to use. A wireless remote control on the handlebar will allow you to control the turning indicators, switch on and off the laser projection and to switch between the different modes of light. 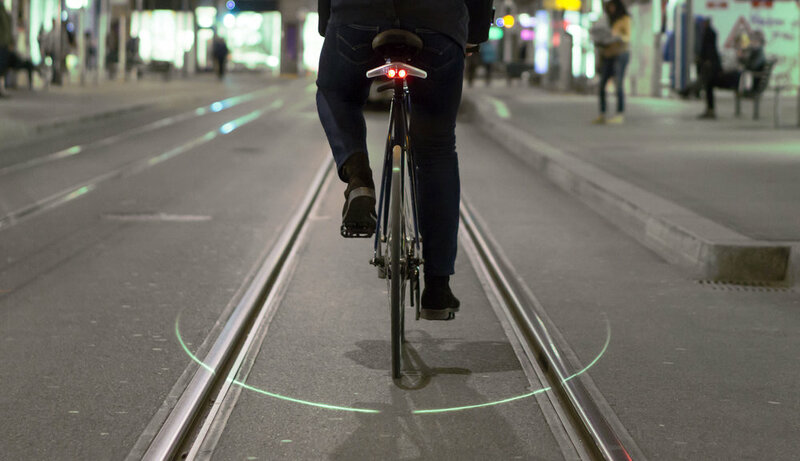 A laser semi-circle projected to the ground behind the bicycle makes you even more visible at night and helps other vehicles to understand what is your space in the road.